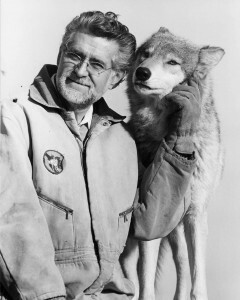 Erich Klinghammer, an animal behavior expert who founded one of the country’s first wolf watching centers, died Thursday. He started what is now Wolf Park, one of the most popular animal-watching meccas in the midwest in 1972. Now there are wolf sanctuaries, breeding centers or parks in nearly every state. But when he started in 1972, it couldn’t have been easy or popular. At first he only had a handful of wolves from zoos to study. But people kept showing up wanting to see them, so by 1977 he started opening up on weekends so the public could share his wolves. 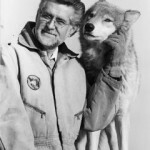 Erich Klinghammer was one of the first let the public have fun watching wolves. When you think of animal research facilities becoming attractions, fun is not the first thing you think of. Researchers are so petrified of anthropomorphism they practically treat animals as more closely resembling trees than humans. Part of Klinghammer’s legacy was that it was ok to have fun with wolves. He showed that hand-raised wolves would behave different than wild ones. And Wolf Park is about the most fun wolf watching place I know of. They have weekly howls, birthday and Halloween parties for wolves and all kinds of classes. You can see wolves interact with bison (though not kill them). Klinghammer, 81, though retired as a professor of ethology (animal behavior) at at Purdue University, was still teaching at Wolf Park. The danger in an individual setting up a sanctuary is that they become the show. But Klinghammer made sure that didn’t happen. Wolf Park’s board will carry on with wolf education and fun. Though I think his legacy is bigger. If the wolf parks around the country were looking for an example to follow, they were probably looking to Klinghammer.